[Buffy] My former self hates the new Me. –But I LOVE Me. [Xander] I think you just warped something besides time, there, Buff. [Willow] A time warp! Exactly! Buffy, that’s how you USED to think your assignments would get done. Seemed easier than measuring out each day and week like wooden yardstick. Right? Now you know it WORKS! But we have to know exactly HOW stick with that stick! [Xander] Quit stealing lines and sticking with sticks, Willow. Not your gig! [Buffy] But she’s right, Xander, and the tricks she taught me should work for guys too. You know the best part? I get to HOLD TEACHERS ACCOUNTABLE. I NEED to start my assignments early. I NEED to pace them toward their due-dates. Now it’s the TEACHERS who are scrambling to get stuff to ME! THE POWER!! Ooooh, this is better than my last triple kill. . .
[Xander] Oh, clever. Slayer passing discretely as a slayer. That’ll throw them. 1. DON’T wait til the teacher gets around to structuring the assignment. TELL them what times you have already booked to work on it and WHEN you need their deets. UP FRONT. 2. DON’T wait until you have a large block of time to work on a large assignment. Large blocks mostly get wasted. Then you are even farther behind. 3. DON’T attack an assignment as if it was all one big thing. It’s not. It’s a bunch of hidden sub-goals. You have to do the detective work first. Find all your sub-goals. Put them in the order. Be ready to do the first sub-goal. Right on that day you first get the deets. 4. DON’T lose a single day. Book one hour each day, or second day, to bank some progress. Get intense for that hour. Then lay off. Berween days, it’s still in your head. So you don’t really lose that day either. [Xander] Cool. Can I get marks for those days off? [Willow] Get real. My point is this. Never again will you keep forgetting what your assignments are even about. Man, I never had that problem. But everyone I know practically pees themselves when it happens. [Xander] Nice to know you’re comfy-dry there, Willow. [Buffy] Be nice, you two. We’ve got work to do. Best part is this: The kill is SO SLOW. It’s against the Slayer Code to do that to a vamp. Nev-Ver! They have feelings, you know? BUT ASSIGNMENTS? NO MERCY! [Xander] Buff. Chill. You’re sounding psycho. In fact, lemme outa here. [Willow] You can do it too, Xan. You don’t have to be all vicious like Buffy here. Maybe you go can undercover. Let’s shop for reading glasses. Maybe a visor ‘n’ like-that. Just til you get your courage up. No-one needs to know that you’re Heaven’s Child sitting on the Hellmouth. ‘Cept — come exam time — gotta warn ya — EVERYBODY wants to be your friend. Guys are the worst. And if they can get YOU to help them instead of Buffy or me, WELL! Get ready to play Popularity, Release 2.0, Mister. [Xander] Okay. But they can get their own Twinkies. Hell! They can BRING the Twinkies! [Willow] WHERE?! 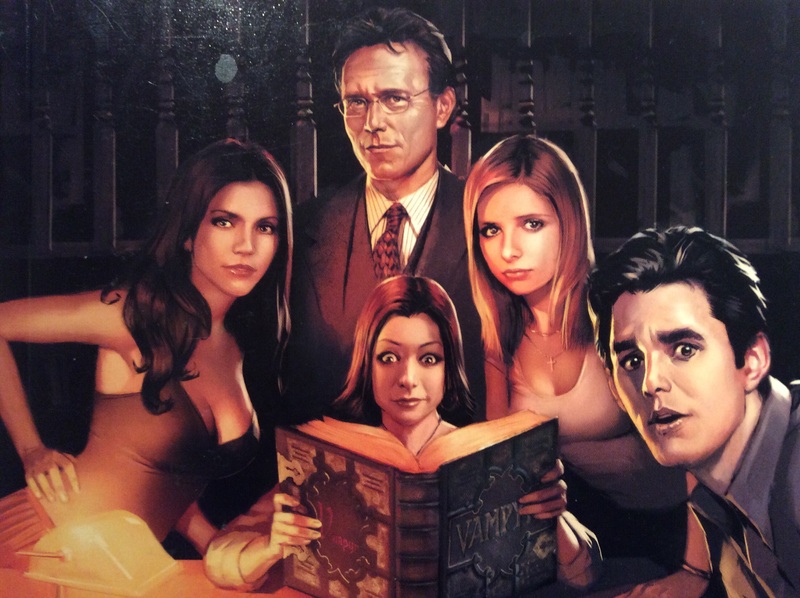 …OH CRAP, BUFFY! DON’T USE THAT…It sounds different, from you. (ONTARIO) “Try writing like Helen over there. 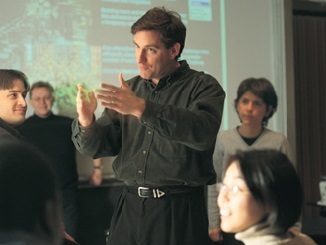 She can give you some tips.” Prof. Claritti’s comment is a bit out there, for the lecture hall. But he means well. He likes Jac’s concepts. When he can find them. Jac got into his first-pick university because his high school averages soared. – On wings of math and science. Now, these strict, First Year expectations for smooth, clear, concise writing are hitting Jac like a line-drive to the gut. Feedback notes on his lab reports and essays seem ‘blind’ to Jac’s best efforts. Jac never needed special education. High school teachers consistently ‘tolerated’ his writing because he was a strong student overall (if sometimes a big show-off). His teachers had other issues to address . . .
-Note-taking while Reading then Outlining. -Listen to the ‘sound’ of writing you like. -Write the Abstract & Conclusion, then fill in. 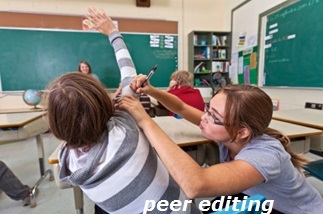 -Have a friend read your draft to you, aloud, and without commenting.